He walks us through the all-new pickups and more. Following the launch of its new American Performer Series, Fender has teamed up with soul guitarist Curt Henderson on a demo of the new Stratocasters. The highlight, of course, is his in-depth look at the new pickup systems. 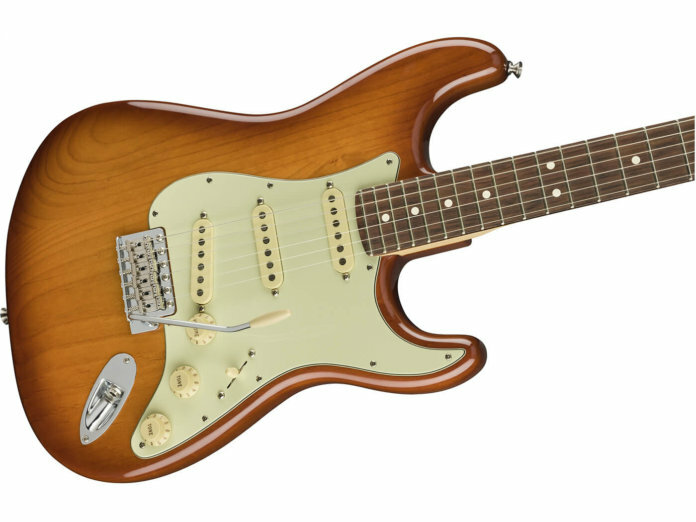 The single-coil Strat features Fender’s new Yosemite pickups. According to Henderson, the pups are “sparkly and chimey”, and “add extra life and bounce to [the guitar]”. This model also has a push/pull function for more versatility. Picking up the HSS model instead, Henderson then discusses the new DoubleTap Humbucking pickup system. In other versions, splitting the humbucker results in a volume dip. But the guitarist claims the new system resolves that issue. Furthermore, it allows the HSS to retain its signature Strat quack in position 2. Henderson also checks out the new Greasebucket tone circuit – featured on both guitars – that lets you roll off treble levels without any resulting loss of gain or clarity.